Many thanks to our volunteers: Amos Shiffman and Orna Kir that transcribed more than 370 records. Very soon you will be able to search this database at http://genealogy.org.il/AID/index.phpAnother project completed for IGRA. 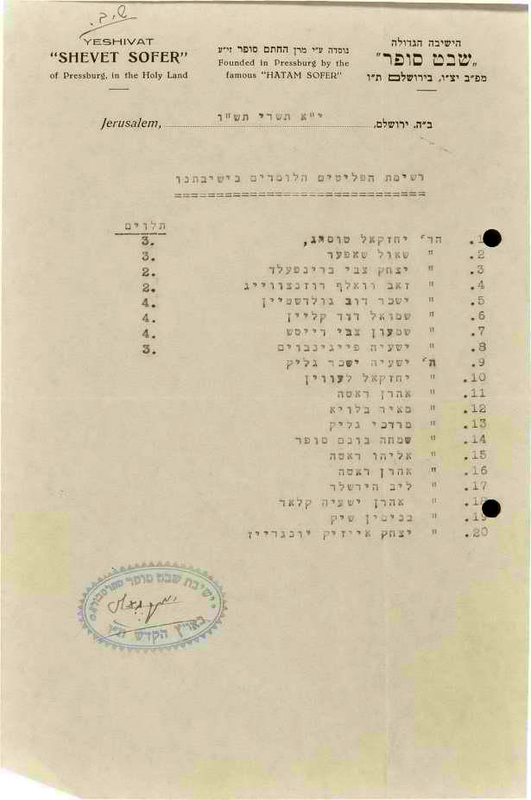 These list of students at Yeshivot were found in the files of Dr. HaRav Herzog z"l at the Israel State Archive. Some lists are of immigrants after during or after WWII. Not all the pages are in the same format. Fill in the requested information as best as you can. 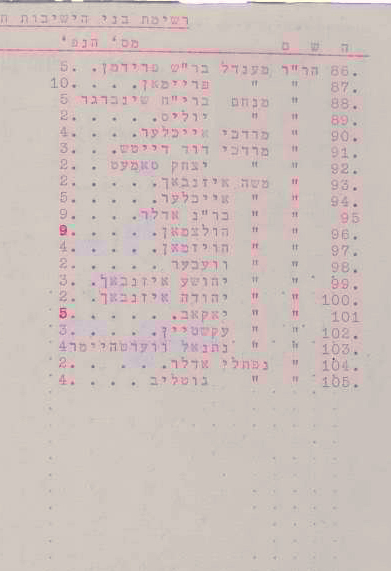 The fields requests are from left to right: number of family members, surname, given name, title, line number and remarks (in case there is some other information that is important). This project is available to all indexers, not just those in the group.